The perfect book for the IT manager! 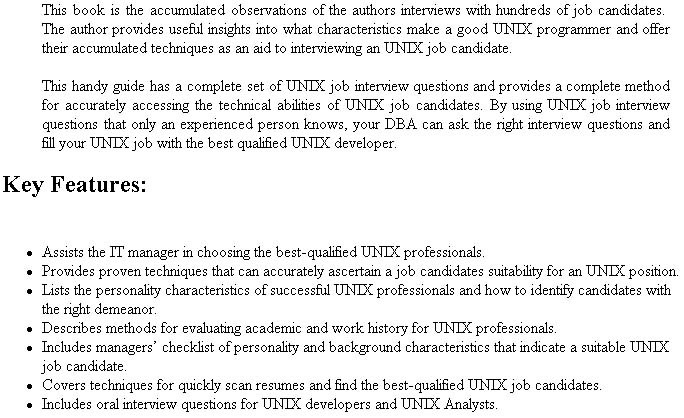 Covering everything from UNIX networking questions to checklists of suitable job candidate characteristics. A terrific book, and check out these UNIX networking questions! Need UNIX networking questions for your interview? 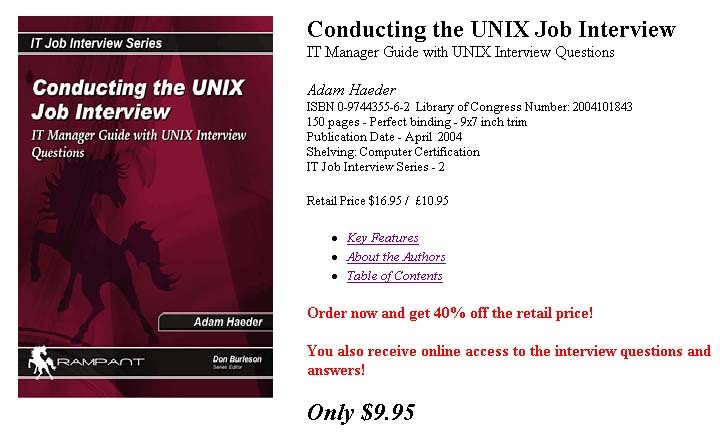 Check out our book, which has many UNIX networking questions -- perfect for evaluating and finding that perfect job candidate.